More than ever, efficient working is key to business productivity and success. EcoTele mobile business solutions enable employees to stay connected when they're out of the office or working remotely, ensuring important calls aren’t missed and providing instant, remote access to email, internet, synchronised calendars and company networks. 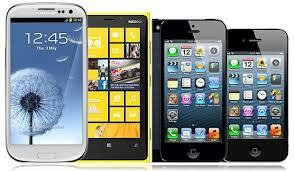 We offer an independent, impartial view of your mobile communication needs. Our long standing partnership with Vodafone, 02 & EE extends our knowledge and expertise in delivering the best tailor-made solutions and service & we have access to unique range tariff incentives that are not openly available. You will have your own dedicated account executive who will carry out regular account reviews in line with up-to-date market information, ensuring that you benefit from the best possible mobile solutions and keep your costs to a minimum. Contact us now for a quotation.